Germany is the world’s most popular non-Anglophone study destination, and the third most popular overall – only the US and the UK welcome more international students each year. Find out what motivates so many to study in Germany, and how to choose and apply to a German university. Germany is a country characterized by variety. Trendy and modern Berlin can seem a world away from the more traditional and conservative Munich. The gleaming skyscrapers of Frankfurt form a stark contrast to quaint Heidelberg. And if bustling and fast-paced Hamburg becomes too much, you can always retreat to the peaceful and picturesque Middle Rhine region. There are no tuition fees, excluding at universities in Baden-Württemberg. Amount needed for living costs: around €10,200 (~US$11,700). All students can work during their studies, with some restrictions for international students. Famous dead Germans include classical music composers Bach, Beethoven and Brahms, and philosophers Kant, Hegel, Schopenhauer and Nietzsche. Universities in Germany offer plenty of choice, including some of the most prestigious institutions in Western Europe. Germany’s highest-ranked university in the QS World University Rankings® 2019 is Technische Universität München (ranked 61st in the world), closely followed by Ludwig-Maximilians-Universität München (62nd) and Ruprecht-Karls-Universität Heidelberg (64th). Beyond that, every major German city you can think of has at least one university ranked among the world’s best. A total of 13 German universities make the world’s top 250, and 30 are included within the world’s top 500. This establishes Germany well within the world’s higher education elite. In addition to world-class universities, Germany also offers high quality of life, relatively low tuition fees, extensive support and scholarship schemes for international students, and decent post-graduation employment prospects. So, it’s easy to see why so many choose to study in Germany each year. Studying at master’s level? Find out about postgraduate study in Germany in the latest edition of the QS Top Grad School Guide. Prospective business master’s students may like to consider GISMA Business School, an international school with 40+ nationalities represented, which offers a wide range of postgraduate, undergraduate, university pathway programs and executive education, with accreditation from the Association of MBAs (AMBA) since 2011. GISMA also benefits from partnerships with some of the world’s most prestigious educational institutions, as well as its links to numerous corporations, such as Continental and Volkswagen. Based in Hannover, Berlin, London and Hamburg, GISMA offers all courses in English, helping to open doors to the nearby business market. Students also benefit from a highly diverse environment, a dedicated Careers Development Centre for students and alumni, and numerous scholarships and flexible payment plans. The Berlin campus provides globally ranked programs with partners Grenoble Ecole de Management, The University of Law and Arden University. Grenoble Ecole de Management has triple-accreditation from the likes of AMBA, EQUIS and AASCB, of which only 1% of the world's elite business schools receive. The programs have top global rankings, with the MIB for example ranked 20th in the world by the Economist in 2017. 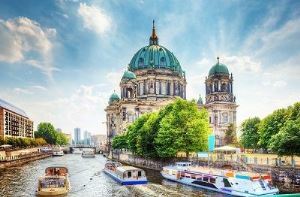 Cities don’t get much trendier than Berlin, which easily competes with the likes of London and New York in terms of the cool factor. It goes without saying that this tolerant, multicultural and creative city is known for being a great place for students – and it helps that it’s also a relatively inexpensive place to live. Top universities in Berlin include three ranked within the world's top 150 in the QS World University Rankings® 2019; these are Humboldt-Universität zu Berlin (ranked 121st), Freie Universität Berlin (130th) and Technische Universität Berlin (147th). The city’s also home to campuses of prestigious business schools such as ESCP Europe, GISMA Business School and ESMT Berlin. Thanks to its world-famous Oktoberfest (a huge annual beer festival), Munich will forever be associated with Germany’s beer-brewing tradition. But there’s more to this southern German city, which is often voted one of the world’s most livable cities. For one thing, Munich is home to the two highest-ranked universities in Germany: Technische Universität München – ranked 61st in the world, and Ludwig-Maximilians-Universität München, ranked 62nd in the world. 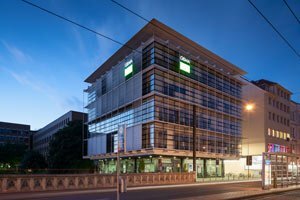 A sleek modern financial hub, Munich can be a little on the pricey side but it won’t cost you anything to enjoy the beautiful Bavarian countryside which surrounds it. 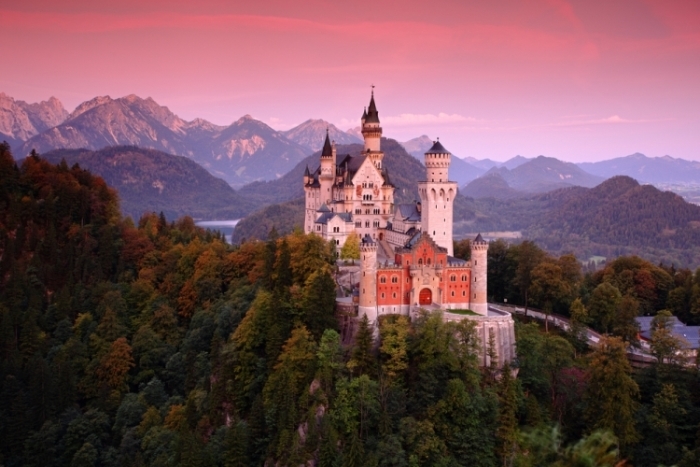 There’s plenty of history to enjoy too, and no visit to München would be complete without a visit to King Ludwig’s palaces and grottos. 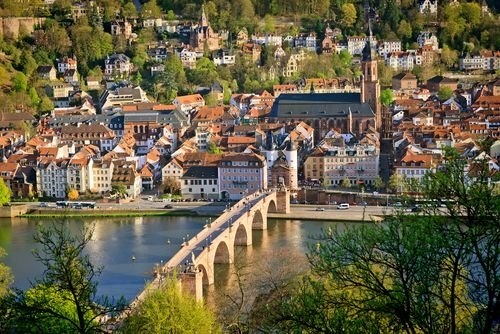 Despite being part of one of Germany’s most densely populated areas, Heidelberg manages to retain a certain quaint rustic charm. It’s popular with tourists, who come to see its ancient castle and red-roofed town center. Top universities in Heidelberg include the famous Ruprecht-Karls-Universität Heidelberg, which is Germany’s oldest and third-highest ranked university (ranked 64th in the world). It boasts connections with more than 50 Nobel Prize winners, of whom 10 were (or are) professors at the university. Cologne is known for its dramatic cathedral, Kölner Dom, its pleasant riverside, and its liberal and tolerant nature. It has a vibrant student community, is peppered with museums and art galleries, and does a good line in beer halls and independent stores, particularly in the Agnesviertel district. Direct trains run to Paris, Brussels and Amsterdam, and Luxembourg isn’t too far away either, so Cologne could be a good choice for those keen to explore Western Europe. Universities in Cologne include the flagship Universität Köln (University of Cologne), ranked joint 306th in the world, which is one of Germany’s largest universities. The beating heart of Germany’s financial and business sectors, Frankfurt is also the home of the European Central Bank. Accordingly, its city center is a mass of gleaming skyscrapers, and its airport is the busiest in continental Europe. However, it’s not all work and no play. 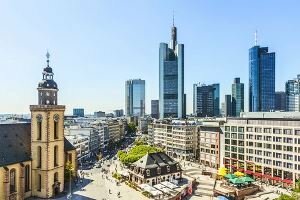 Frankfurt is known for offering some of the best nightlife in Germany and hosts a number of colorful festivals throughout the year. As for universities in Frankfurt, the most prestigious is Universität Frankfurt am Main, ranked joint 279th in the world, and particularly strong in social science subjects. If you want to study in Germany at undergraduate level, great news! There are no tuition fees at public universities in Germany for undergraduate students, and this includes domestic, EU and international students in all states, with the exception of Baden-Württemberg, where non-EU students now need to pay tuition fees of €1,500 (~US$1,700) per semester (€3,000 (~US$3,450 per year). Refugees and PhD students are exempt from this, and those studying a second degree pay reduced fees of €1,300 (US$1,500) per year. While tuition costs are (mostly) free, however, students are required to pay a nominal fee per semester. This fee covers administration, student support and other costs, and is usually no more than €350 (~US$400). If you want to study in Germany at master’s level, you may need to pay tuition fees. This is usually only the case for students who have not completed a related bachelor’s program at a university in Germany within the past few years – classed as “non-consecutive” students. Fees for non-consecutive master’s degrees vary, but can amount to as much as €10,000 (~US$11,500) per semester. If you plan to progress from undergraduate study in Germany straight to a related master’s program at a public university, fees are likely to remain low or non-existent. To find out more, read our article about the costs of studying in Germany. The application process for universities in Germany varies depending on a few factors. If you have a European qualification, such as a baccalaureate or A-levels, then you will only need to prove you can speak German (unless you’re enrolling on a course taught in English) and you can then apply directly for a university-level course. Students with qualifications from outside Europe may have to sit the Feststellungsprüfung entrance examination after attending a preparatory Studienkolleg. High-achieving students may be able to bypass this. For most subjects, you can apply directly to the international office of the university. Alternatively, you can use uni-assist, a centralized admissions portal for international students. This is one of the services run by the German Academic Exchange Service (DAAD), the world’s largest funding organization supporting international student and academic mobility. For some subjects, there is a nationwide cap on the number of students who can enroll. For these subjects (mostly life sciences), students from the EU (plus Norway, Iceland or Liechtenstein) need to apply through the Foundation of Higher Education Admission. Students from outside of the EU should apply as normal. The requirements to get a student visa for Germany depend on your country of origin. You do not need a visa to study in Germany. Within a week of your arrival you must register with the Einwohnermeldeamt or Bürgeramt (registration authority) in your city. You’ll need your registration document from your university for this. If required the Foreigners Authority (Ausländerbehörde) will issue a Freedom of Movement certificate for EU-citizens. You will need to prove you have or will have enough money (see above) and have purchased statutory health insurance if you’re under 30. 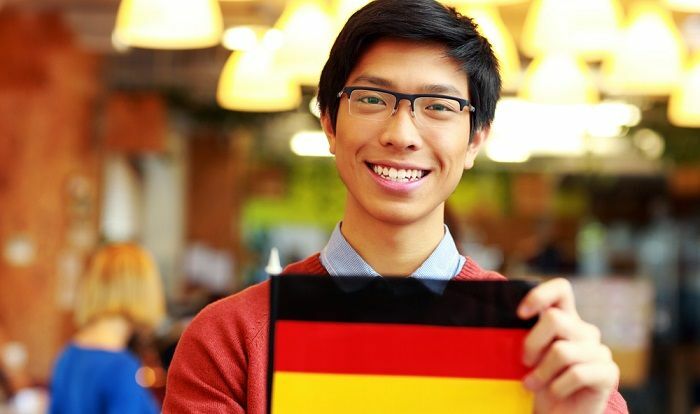 Certain countries have bilateral agreements with Germany, which mean insurance policies in the student’s home country will be applicable in Germany. You need to prove your proficiency in your course’s language of instruction. If you are from Australia, Canada, Israel, Japan, South Korea, New Zealand, Switzerland or the US, you will not need a visa to enter the country, but you will need to register at the local Residents’ Registration Office and the Aliens’ Registration Office (Ausländeramt) to obtain a residence permit (Aufenthaltserlaubnis). If you are from Andorra, Brazil, El Salvador, Honduras, Monaco, San Marino or Taiwan you will only need a student visa for Germany if you want to work before or after your degree. You will need to apply for a residence permit. If you are from any other country, you will need to obtain a visa from your nearest German embassy before you enter Germany, as well as a residence permit. Ensure that you apply for a National Visa for the purpose of study rather than a Schengen Visa, which will only allow you to stay in Germany for three months. In order to get a residence permit you will need to present confirmation that you’ve registered at the Residents’ Registration Office, proof that you have health cover (your university will help with this), proof of your financial means (see above), your passport (with visa if you need one) and a tenancy agreement which shows you have found somewhere to live. It will be valid for two years, after which time you must get it renewed. To obtain a visa, you will need to present the same list of documents as for a residence permit. You may also have to show proof that you don’t have a criminal record and are free of certain diseases. The specific list will depend on the embassy. The same language requirements apply as specified in the requirements for EU students. You may also need to produce this evidence at the visa stage.